We get that a lot. But surely, that defies logic, it defies the principle of the “quality triangle” If that is something you are not familiar with you can read plenty about it online, in essence, it states that there are three service attributes, value (price), quality and speed. The logic is no service provider can meet or even excel at all three service attributes, cheap & fast will usually lack quality, cheap & good is slow and finally fast & good is not cheap. At Claremont Centre there is an inherent belief that we are defying this logic, not because we are arrogant in our thought process (although we do have a very clear understanding of our place in the market, our product offering and the service we provide our clients), but because our clients tell us the reason they specify our product is because we are cheap, fast and good. Are we alone in our ability to defy the logic of the quality triangle? EasyJet. A great airline who have learnt from a rough start. Speed. Their website is super easy use, especially to book flights on, 5 simple steps and you know where you’re going & what you’re paying for. They’re online app makes the process through the airport as painless as it can be too (it’s not their fault you need to half undress and unpack your belongings to get through security). Quality. The aircrafts are all modern, clean and pretty well equipped with polite, knowledgeable and professional aircrew. McDonalds. Fast food on a Global scale. Speed. They have the speed element of the triangle checked. Quality. This is subject to a far wider discussion that will no doubt continue for as long as McDonalds exists. However, service wise, there has clearly been extensive investment in their restaurants, queue busting technology and even table service in some locations. Staff are generally polite and engaged. Combined with one of our Sit & Stand desks you’d be able to achieve well over a 500 step an hour target, good job. Speed. The product is shipped next day – that’s fast, same day with Amazon Prime. Quality. The construction of the product is brilliant, solid and strong, the app that ships with your Fitbit is exceptional, clear to understand and highly intuitive. Value. When they first became really popular the Apple Watch was launching, price wise the Fitbit Blaze was a fraction of the cost, no apps, but it did everything a watch needed to do, but there are now cheaper versions of the Fitbit out there, so maybe Fitbit is not actually that cheap anymore. There is a common thread to these very different business. In any market space, with any product, there is perception by the target audience. Usually defined by market conditions, or audience experience, Easyjet is great value for a historic British Airways advocate, but not so much for the Ryanair equivalent. The perception of value, against quality and speed is exactly that, a perception, but in our case, and those above it can actually be supported by factual credentials. Now take a look at the Claremont Centre speed, quality & value facts. Speed. Our desks are held in stock, in our warehouse in Glasgow. 20,000 desks across our ranges. With a continuous fulfilment programme that desk count will next fall below 20,000. Why? Because it sets us apart from the rest. 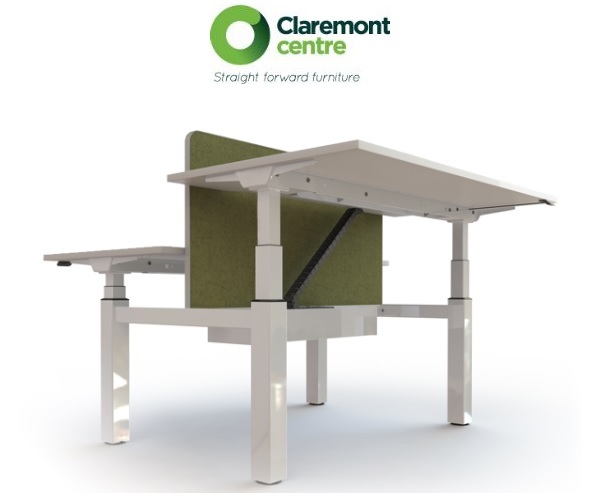 We can have a desk anywhere in the UK the next day, if you need it… Aside from product, we provide order acknowledgements same day, and with standard product, we provide quotes within a couple of hours of the first request. Quality. Our products are FIRA Gold certified. That is an international standard of quality and is consider superior to the regularly quoted British Standards. It means out products come with a warranty of up to 10 years. The product is certified to the highest tolerance of construction to destruction. And it’s not certified by us (unlike many of our competitors), it’s certified by them and you can follow this link to see. Our Customer Experience Geniuses provide clear product and service information, high quality information that leaves nothing to chance. Value. 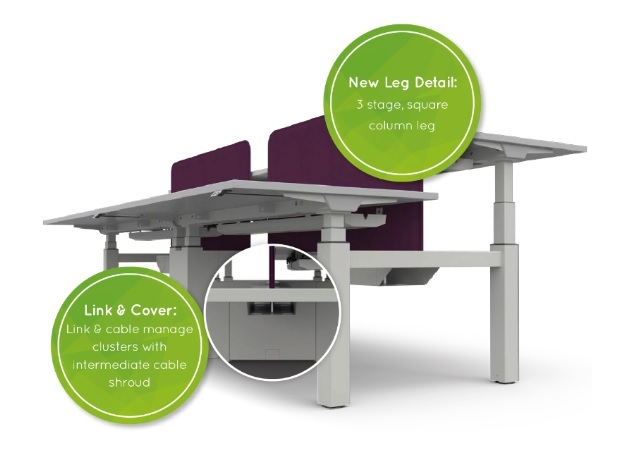 Our desks are some of the cheapest on the market, across the range. From Bench Lite to Sit & Stand our prices compete aggressively with others. The commercial furniture industry is rife with cheap desks, literally hundreds of them. A good proportion of them are far cheaper than ours. In summary. We learnt the hard way. We used to be a dealer. So we know the good bits, and the bad bits. We’ve experienced first hand the margin crushing capability of a poor product supply chain. The result is a supplier that behaves like a partner, minimising your risk by sharing the burden.